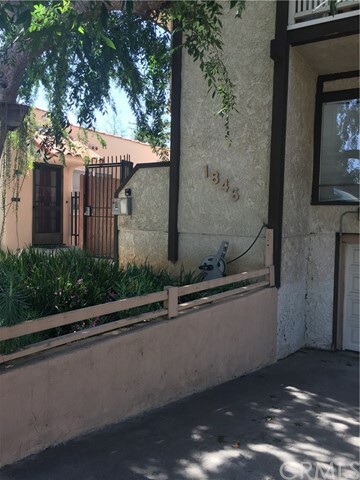 Centrally located in the lovely Sunset Park neighborhood of Santa Monica and offering tremendous access to the greater Westside. This quiet, 2 bedroom, 2 bath unit is one of only 7 in the building that rests in a tranquil residential neighborhood just blocks from the beach and is close to Main Street, shops, restaurants and of course Bob's Market. The make sense flowing floor plan is complemented with natural light, soft ocean breezes and a charming wood burning fireplace and makes for super easy and comfortable living. Low HOA dues include water/trash.This unit is the Best Buy at the Best Price and is one not to be missed! Based on information from California Regional Multiple Listing Service, Inc. as of 10/22/2018 6:06:18 AM PDT and /or other sources. All data, including all measurements and calculations of area, is obtained from various sources and has not been, and will not be, verified by broker or MLS. All information should be independently reviewed and verified for accuracy. Properties may or may not be listed by the office/agent presenting the information.